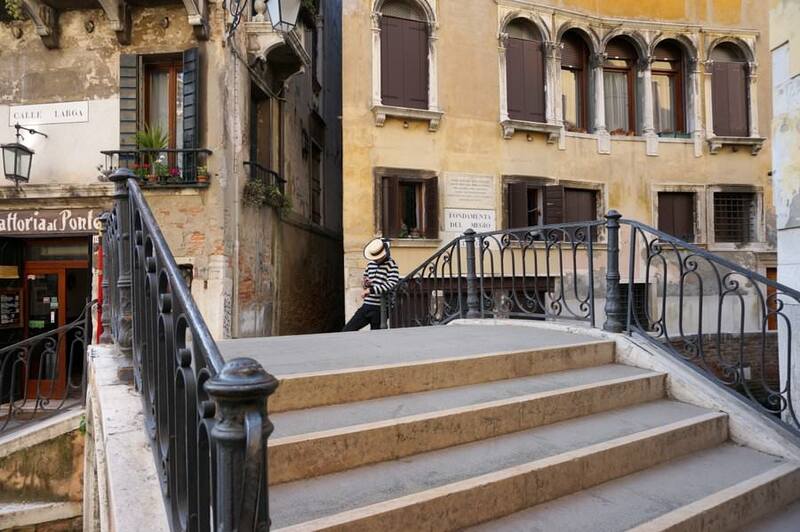 Italian composer Giuseppe Verdi once said: “You may have the universe, if I may have Italy”. And after travelling to this boot-shaped country for 3 weeks, we can pretty much agree with that quote. There are so many places to visit in Italy. This country truly has it all – nature and landscapes, history and architecture, food and wine, welcoming people and an all around intoxicating vibe. The energy in this country is almost indescribable. 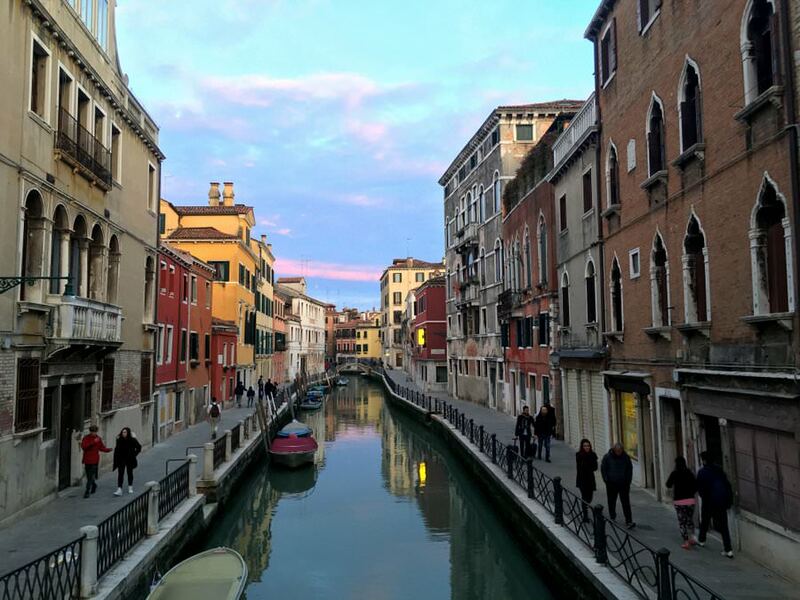 It’s true that we have much, much more to see in Italy, but from what we’ve seen, we’re in love! A quiet canal in the early evening light. 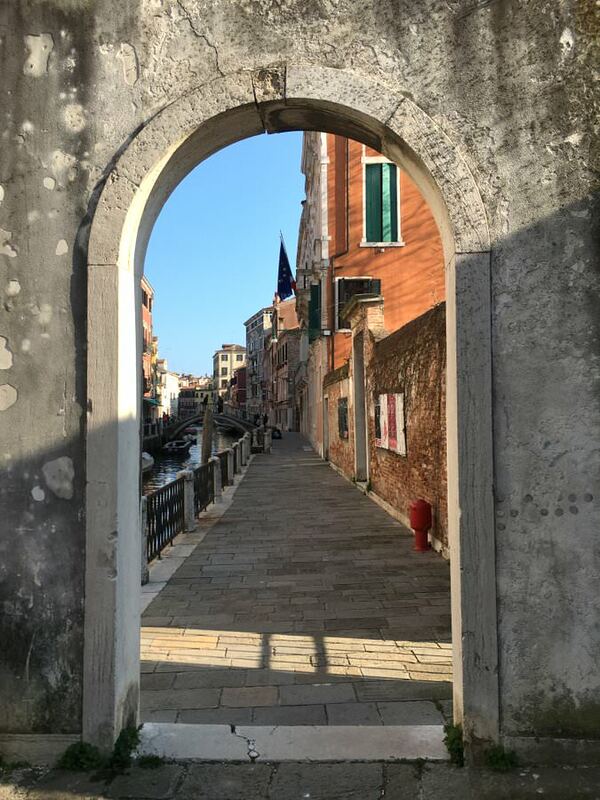 Getting away from the Grand Canal in Venice and finding some quiet places to wander is an absolute must. 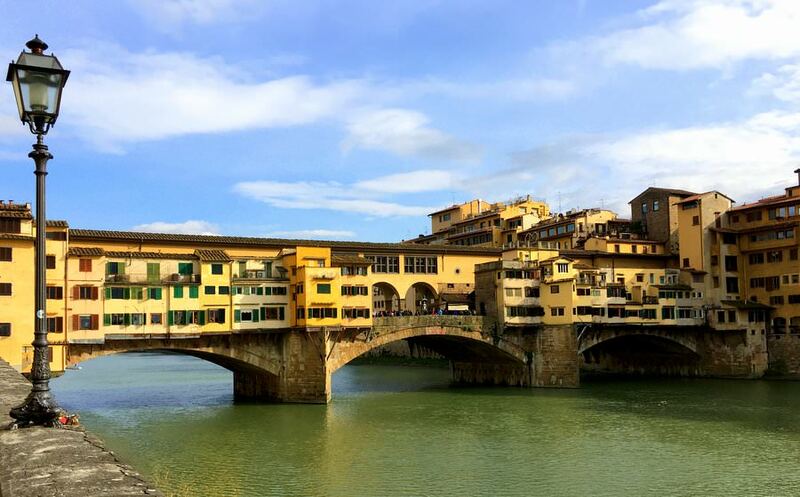 The beautiful Ponte Vecchio (Old Bridge) in Florence has withstood WWII bombings and massive floods. We were wondering what to do in Florence, and a couple days were spent just sauntering around this bridge and river – with gelato in hand. Food plays such an integral role in Italy. 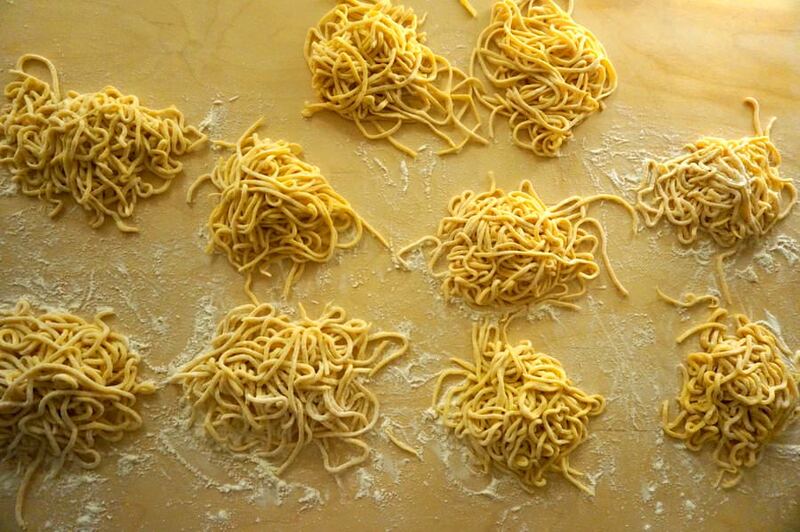 Learning about the seasonal ingredients and how to make pasta from scratch (while having wine, of course), is a must. Click here to check out the cooking class we did in Rome. 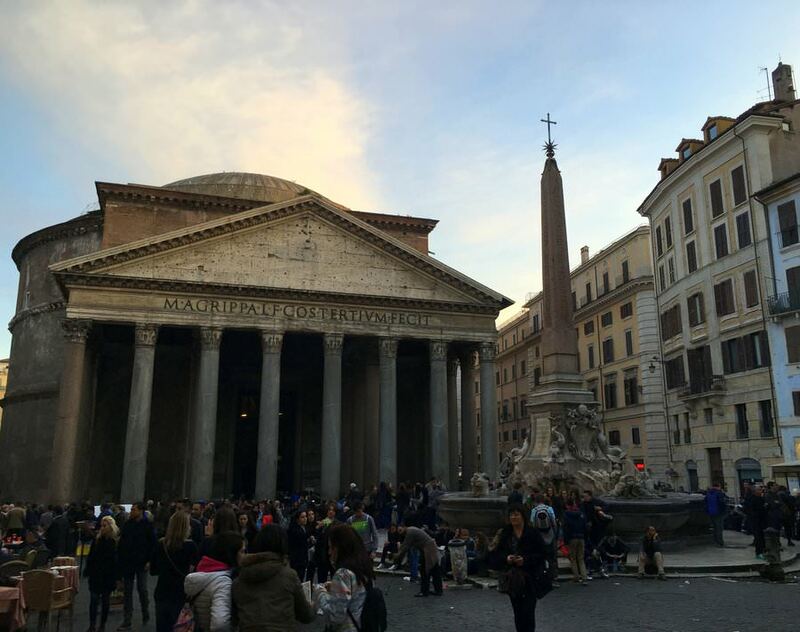 There are many historical sites and incredible feats of architecture in Rome, but The Pantheon is one of the best preserved Ancient Roman buildings. It is still the world’s largest unreinforced concrete dome! 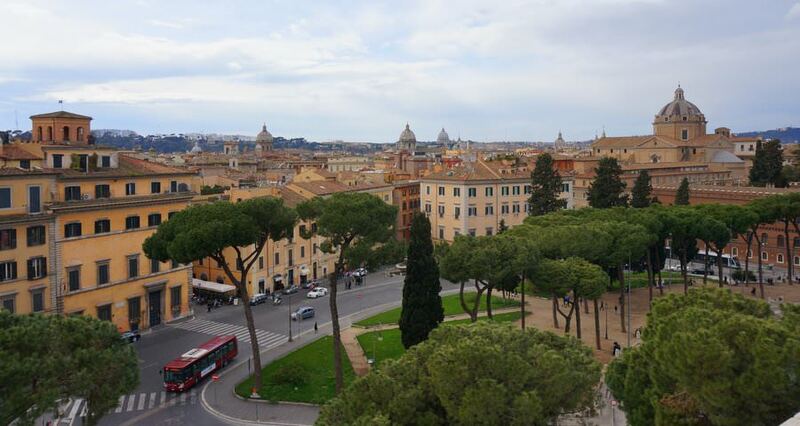 When traveling to Rome, don’t miss this site. Going into the Tuscan countryside will be a highlight of your trip to Italy. 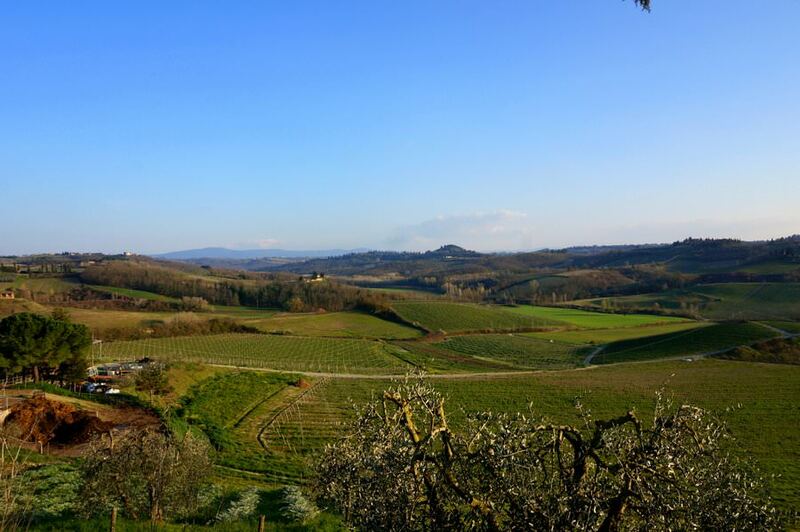 The Chianti region in particular is stunning. Going on a wine tour and exploring this peaceful area is a must. 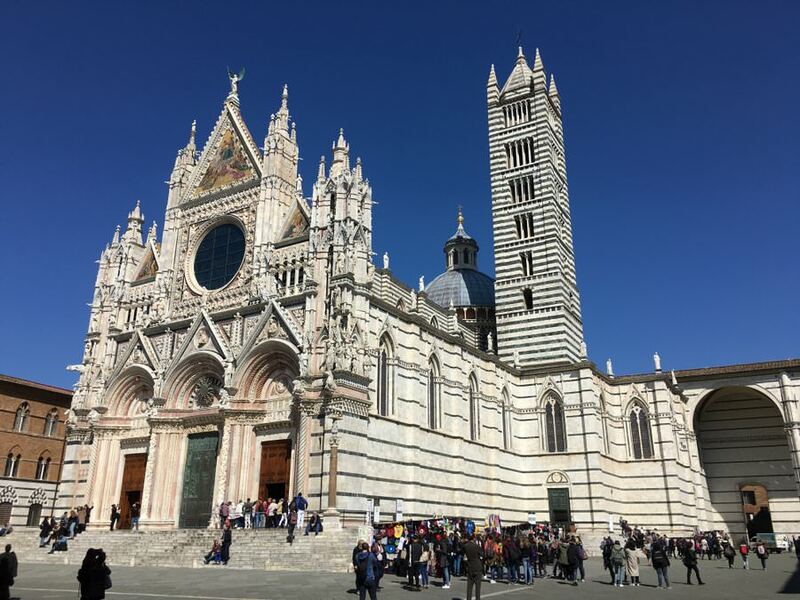 Florence has a Duomo, and so does the Tuscan town of Siena! Both are incredible pieces of architecture. 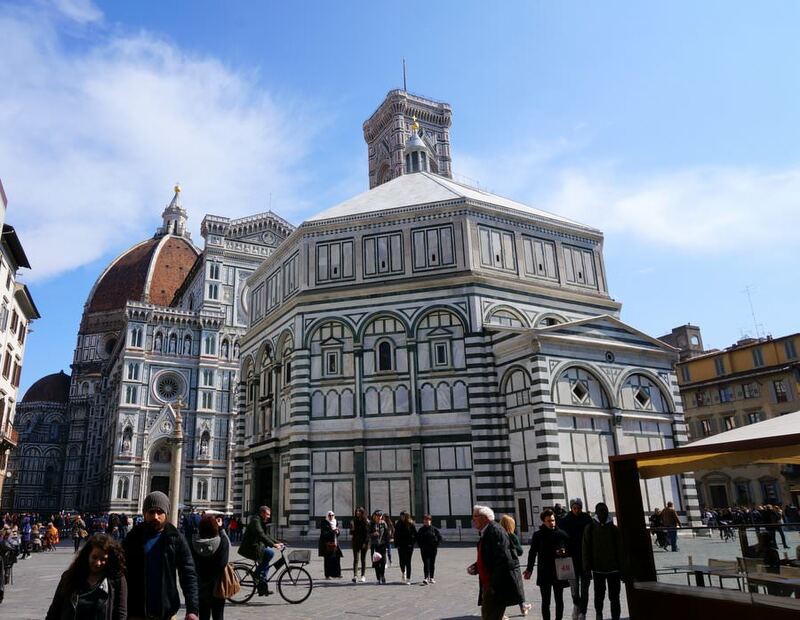 Speaking of Florence and its Duomo…here it is. Built in 1436, the Duomo dominates the piazza of the same name – it would be hard to miss this site. You can go inside for free, but must pay to climb to the top of the dome for incredible views over the city. Some of the best restaurants in Florence are found nearby. 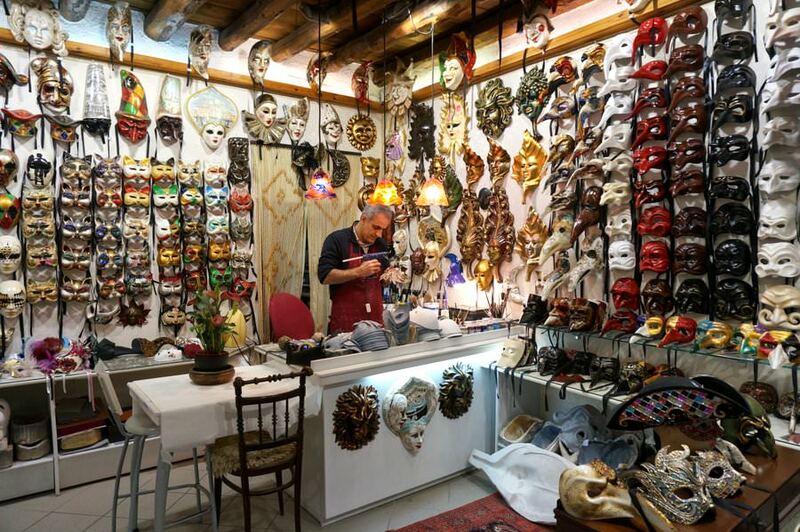 Mask making in Venice. The Carnival celebrations in Venice are more of the masquerade style, as opposed to the celebrations in Latin America. Eye candy. 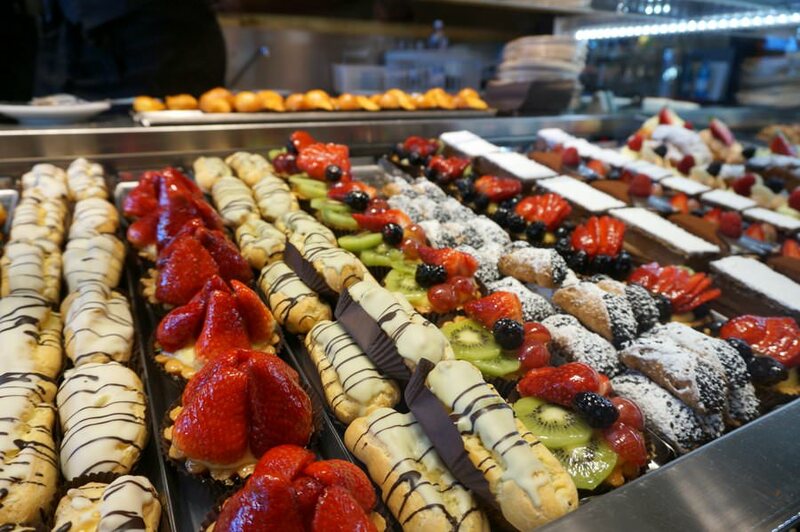 In Italy, it’s hard to say no to sweets with your coffee! You never know what you’ll find on the streets of Rome. 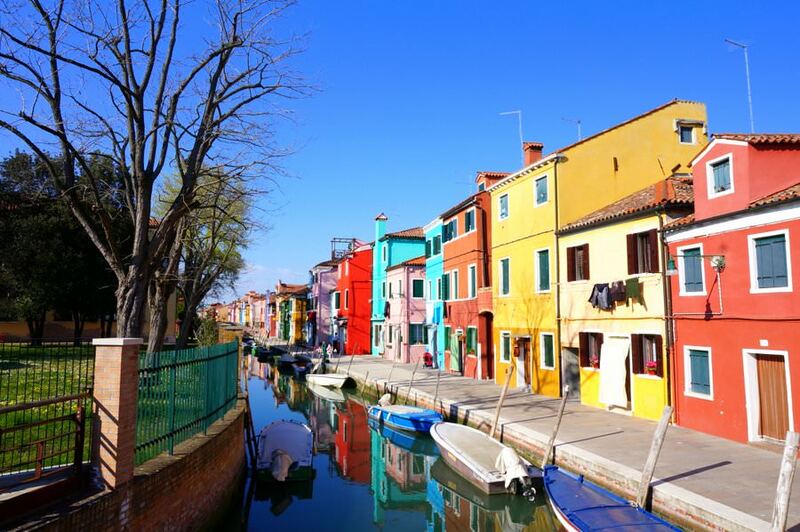 The island of Burano, which is located in the same archipelago as Venice, is known for lace making and colourful homes! 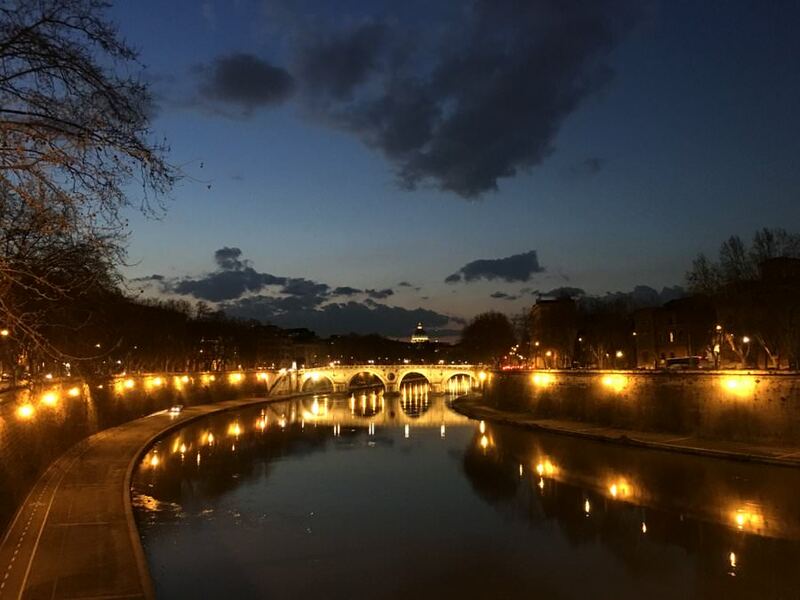 An evening stroll, enjoying the lights on the river in Rome. You’ve never had a cappuccino until you’ve had one in Italy! Mornings in coffee bars are hectic, loud and exciting. Italians stand at the bar to quickly drink their coffee before running off to work. 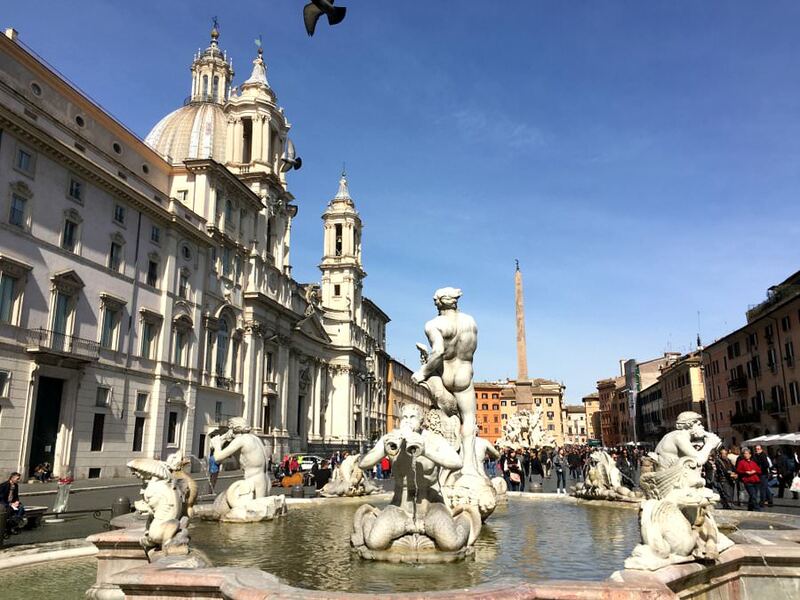 The incredible Piazza Navona in Rome. The fountains and architecture here are beautiful. This is a great place to see street performers and enjoy some people watching. 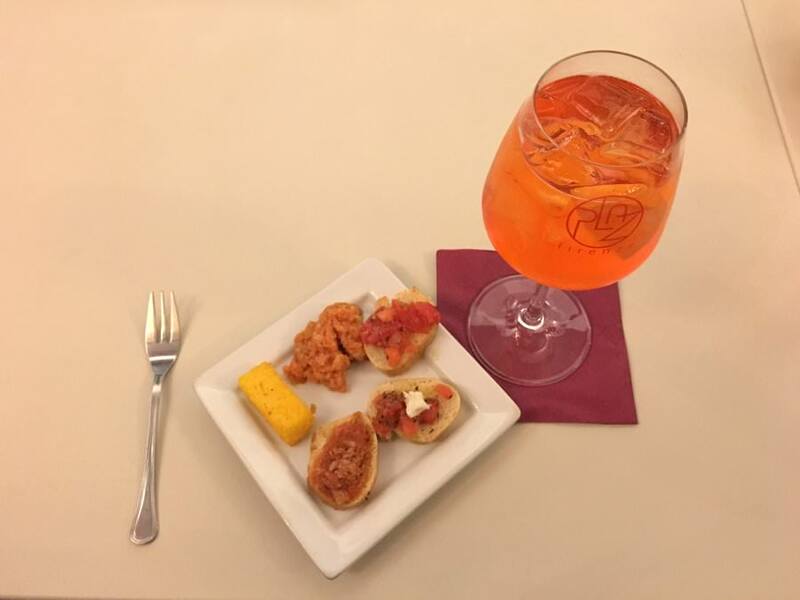 Aperitivo time in Italy is the best! Basically, during 7pm – 9pm (or so), certain bars will have this special on. You purchase your drink at full price, but you will receive lots of free finger food. 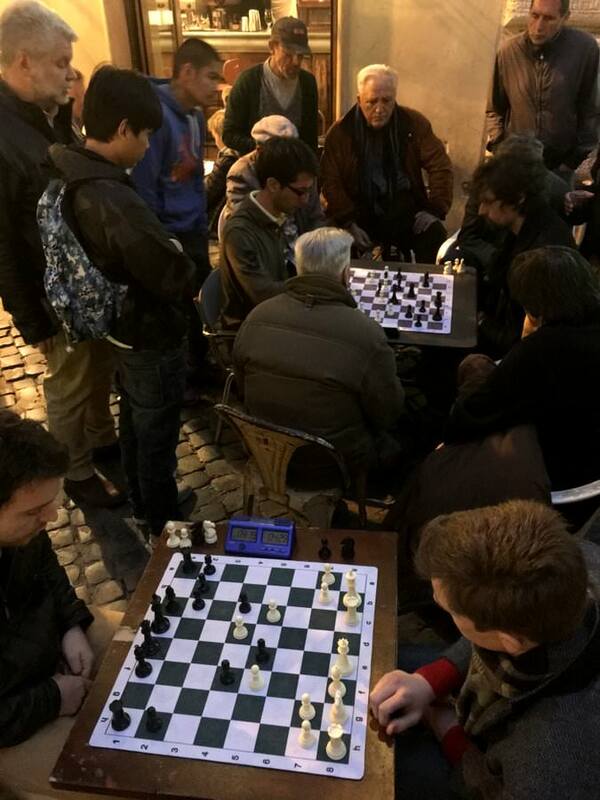 Very serious chess matches going on in Rome. 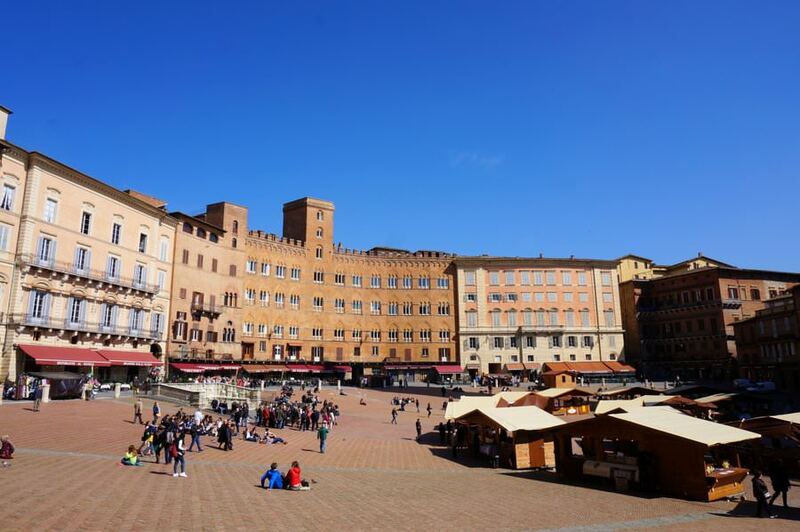 PIazza del Campo in Siena, which is thought of as being one of Europe’s greatest medieval squares. 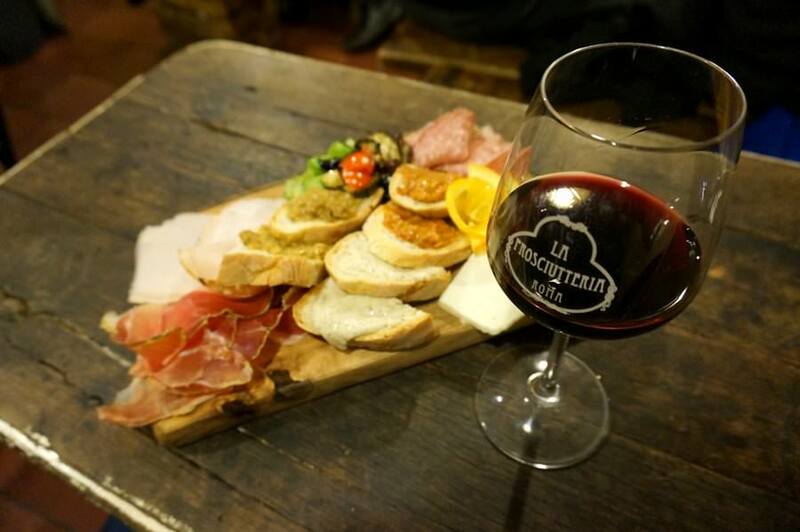 The little wine bars and restaurants with red checkered table cloths actually exist in Italy! 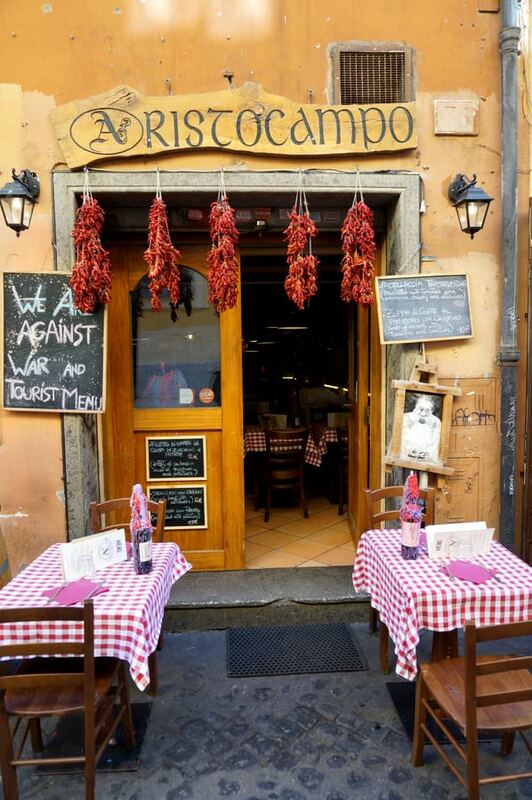 The Trastevere neighbourhood in Rome is a great spot to find delicious food, and atmosphere. 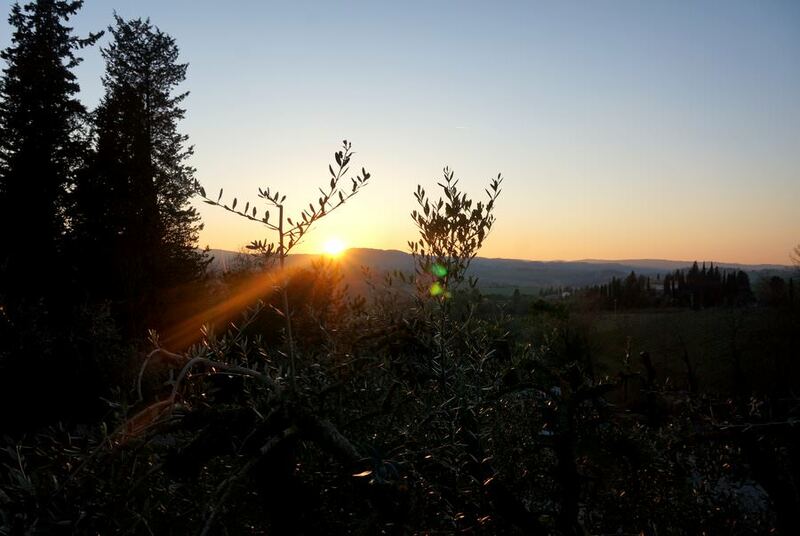 A Tuscan sun setting behind the olive branches. The Trevi Fountain in Rome is one of the most famous fountains in the world. 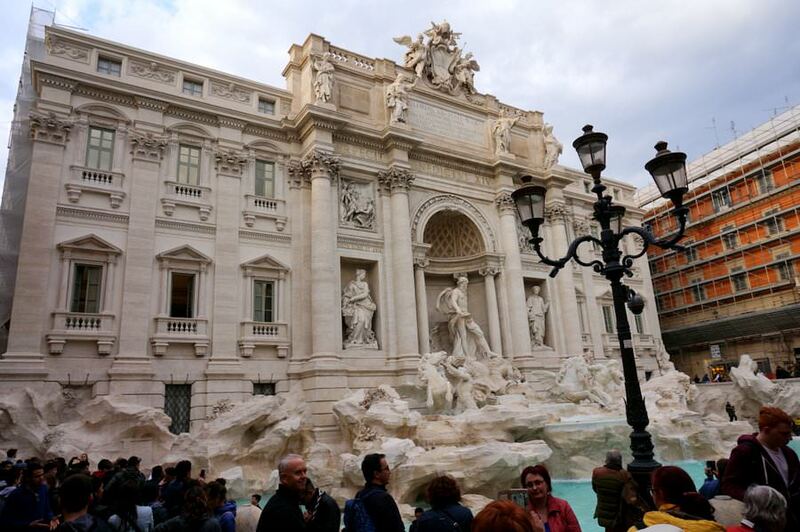 It’s said that if you throw a coin over your right shoulder and into the fountain, that you’ll return to Rome. The fountain is huge and is a great spot to visit both during the day, and at night. 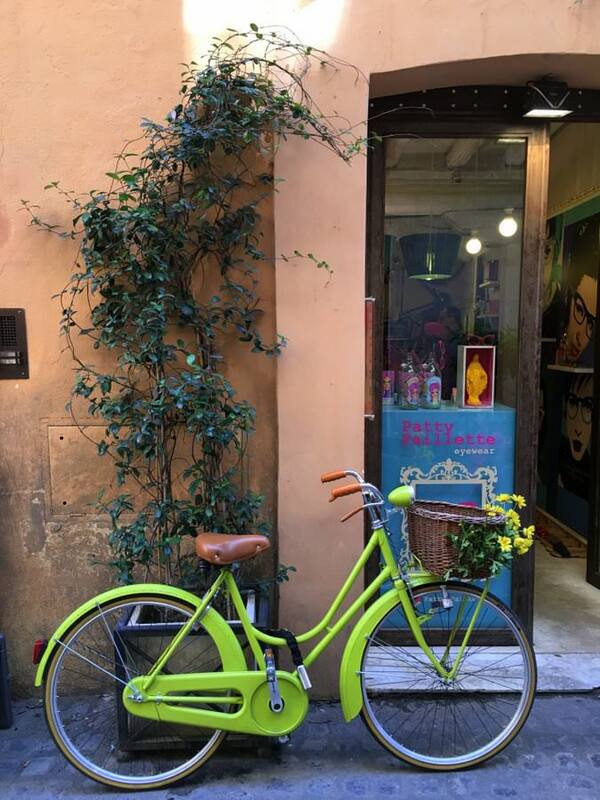 Florence is known for being the art capital of Italy, but you can find interesting pieces outside of the museums and galleries as well. Make sure to look at your feet when walking so you don’t ruin any chalk designs! 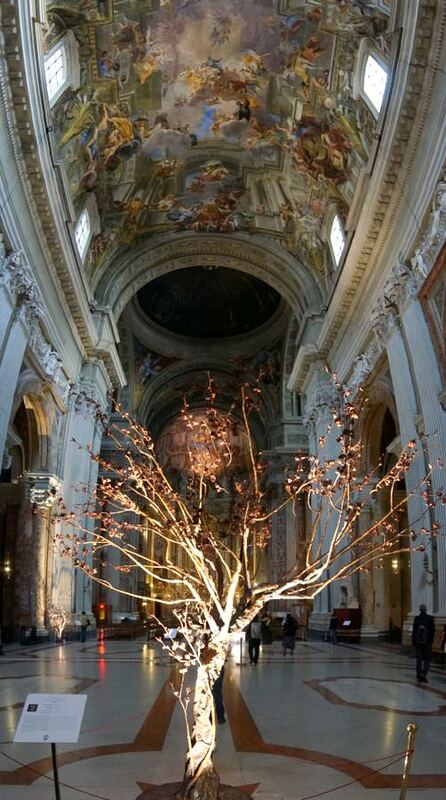 It’s said that there are over 900 churches / cathedrals in Rome! For wine and cheese enthusiasts, Italy is your place. 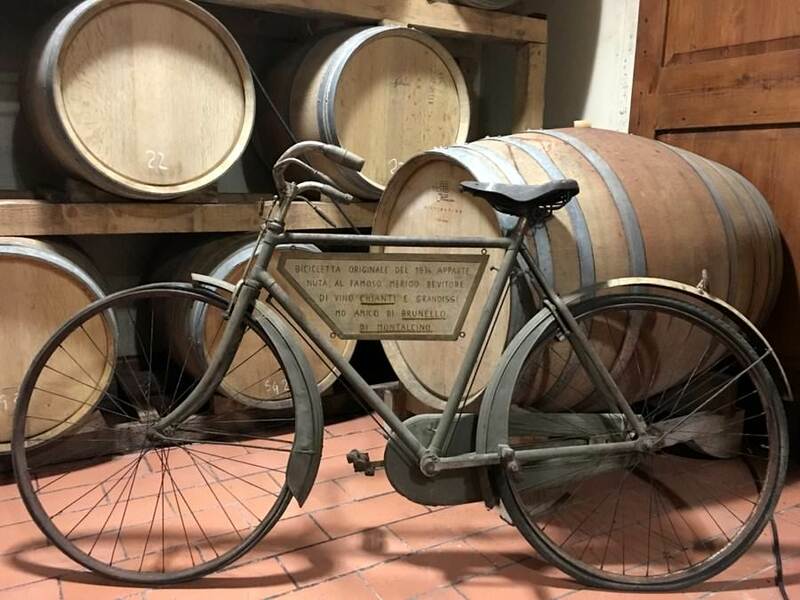 A bike from 1936 at the Poggio Amorelli winery in Tuscany. Taking a break from gondola duties in Venice. 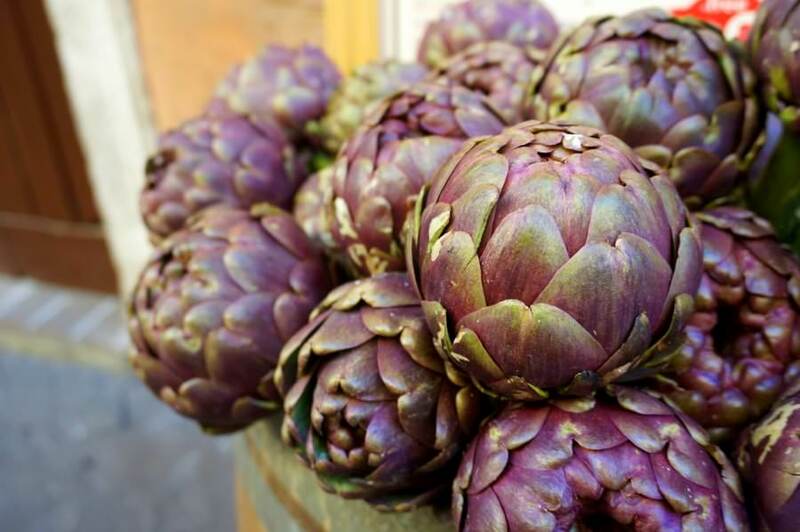 Cooking with seasonal ingredients is important in Italy – how good do these artichokes look?! 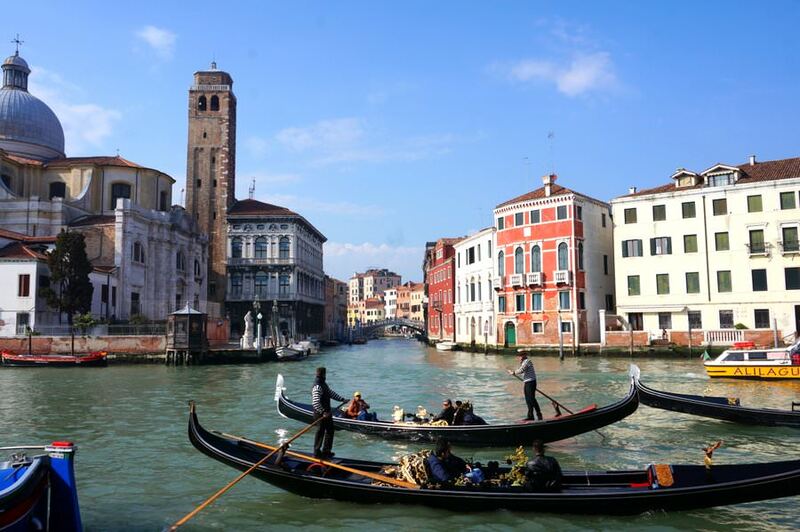 Going on a gondola ride is a quintessential tourist experience in Venice. 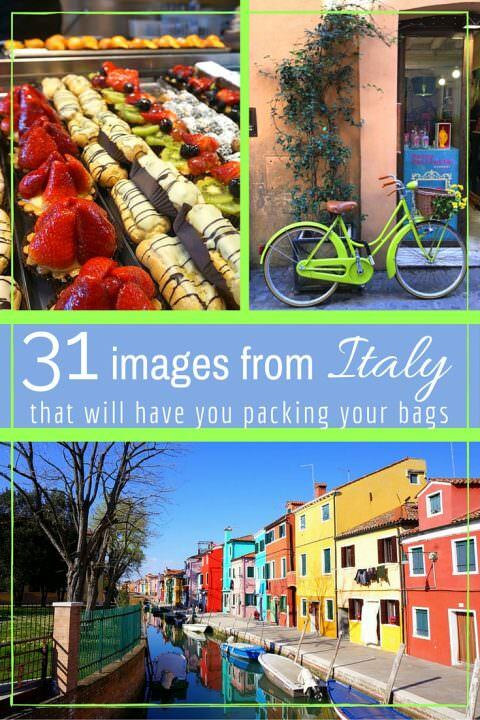 Inspired to travel to Italy yet?! I think I’m going to pack my bag… it looks really wonderful! I’ve been in Rome, Torino and Trieste, but always for work so I couldn’t visit other places. I’d really like to go to Florence and Venice and get lost in small villages. And eat lots of pasta, pizza and ice cream. You got some great pictures here! 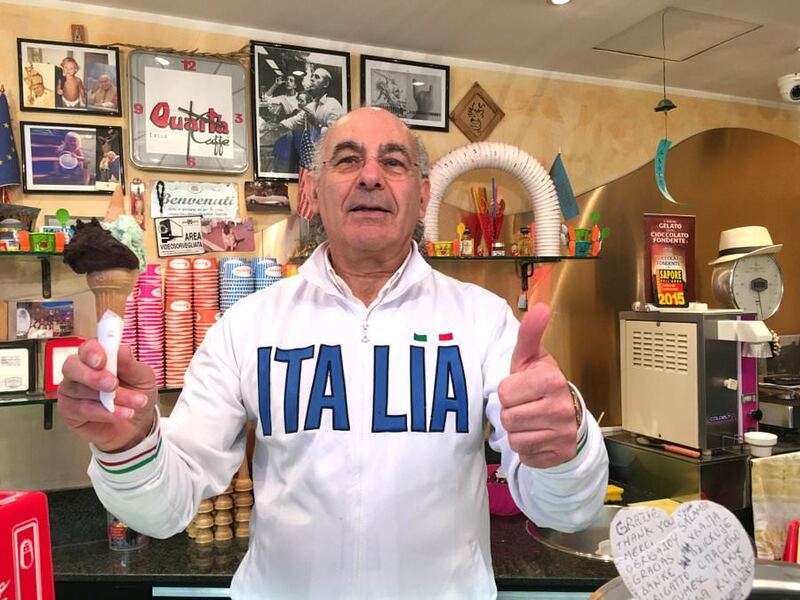 You are exactly right when talking about the Italian cappuccino, it doesn’t even compare to those from any other place in the world.